Events 8/24-8/30: I Love The 90’s Tour, SENSORiUM Music & Arts Festival, Ride Through Fairmount Park, Mutter Museum Beer Garden & More! The latest and greatest things happening in Philly and Camden from Friday, August 24 to Thursday, August 30. Share your event by tweeting us @citywidestories or tagging us on Facebook. I Love the 90’s is coming to BB&T Pavilion for a night of 90’s nostalgia that you won’t want to miss. Listen to tunes from hip hop legends like Salt N Pepa, Rob Base, Biz Markie, Coolio and 2 Live Crew! Immerse your senses at SENSORium, a music and arts festival featuring 20 musical acts, the city’s finest craft and food vendors, as well as drink specials all day! Expect to see stunning visual and interactive art. SENSORiUM is a space for all to feel welcomed and loved, so don’t miss out! Blind Games is meant to stir up conversations about dis/ability and the malleable nature of power in society. Participants will spend a lot of time with their eyes closed in this collaborative movement workshop. Anyone willing to stumble around blindly is welcome to join! The red, steel artwork between Art Museum steps and Pennsylvania Ave.
Join the Bicycle Coalition of Greater Philadelphia and the Association for Public Art for a leisurely ride through scenic West Fairmount Park and by the Horticulture Center. Visit a variety of artworks, and get to learn more about them along the route. You can expect to ride roughly 7 miles with some hills along the way. Come out to Femme. Collective’s 3rd annual summer party/fundraiser! This year’s party is slated to be better than ever with yoga, live music, comedy and craft vendors from all over Philadelphia. Support local artists and have a lovely Saturday at this summer party! The Triangles Summer Concert Series has been happening all summer long, but this week you can enjoy some tunes from local artist Ari Yares. Experience live music, soft serve, and food trucks with family and friends! 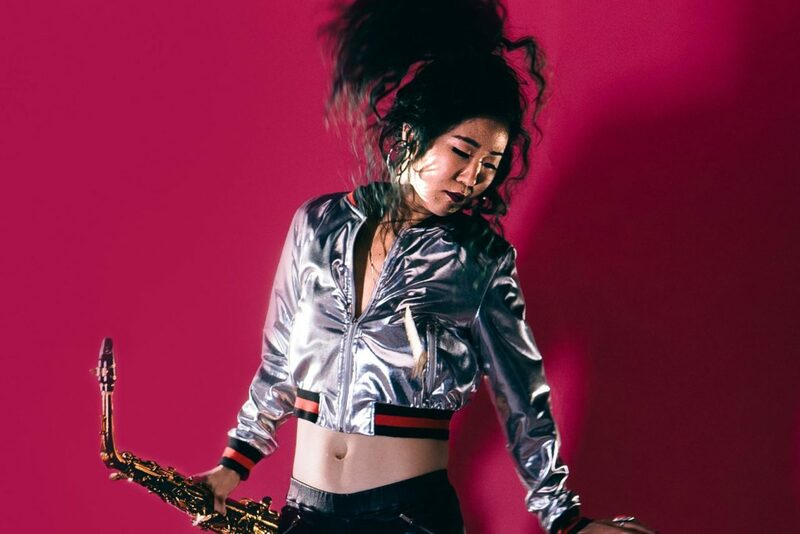 Sunset Jazz Series, a weekly performance series in Camden, NJ, will be featuring Grace Kelly who has been described as, “…broad tone and tenacious flow on the alto saxophone… clearly in possession of virtuoso talents…impressive singing voice… flitting among a range of styles.” – NY Times. Come down to the waterfront to listen to this talented young musician! Join the Franklin Institute as they push science to the limit! Expect daring scientific demonstrations, explosions, and more. This night is sure to knock your socks off! Bring your friends over to World Cafe Live for Friends quizzo! The only way you can truly prove your vast knowledge of 90’s sitcom is to PIVOTTTT your way over to World Cafe Live for a night FRIENDS inspired food, specialty drinks, trivia and more! Celebrate the end of the summer with a beer garden at the Mütter Museum. Enjoy access to the museum during these exclusive late night hours, imbibe specialty beers and sangrias in the Benjamin Rush Medicinal Garden!